High quality and high style, this Safavieh Adirondack area rug is extremely useful in any home. Designed as an indoor piece, its plush polypropylene material will make you feel cozy and comfortable. A durable product is assured with this machine-made rug. Keep things classy, yet high-quality with this vintage/distressed patterned silver rug. Adirondack Alexa Silver / Black 6 ft. x 9 ft. Indoor Area Rug High quality and high style, this Safavieh Adirondack area rug is extremely useful in any home. Designed as an indoor piece, its plush polypropylene material will make you feel cozy and comfortable. A durable product is assured with this machine-made rug. 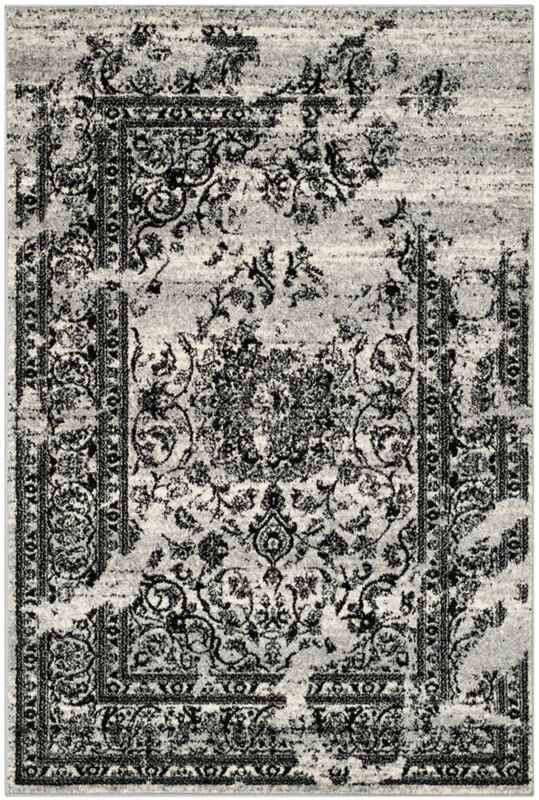 Keep things classy, yet high-quality with this vintage/distressed patterned silver rug.